RTI: Real Time Information (RTI) reporting for PAYE. RTI is reporting payroll almost in 'real time' to HMRC: employers report to HMRC electronically in advance of making any salary or wage payments to employee. Since April 2013 most employers have to report to HM Revenue & Customs (HMRC) monthly under RTI. Reporting is done on or before any payment is made to an employee. Employers may be fined if they fail to file under RTI or make errors in reporting. 5 April 2016 end of the relaxed reporting requirement for micro employers. 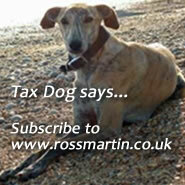 19 March 2013: HMRC announced concession to to relax the strict timing of submission under RTI for smaller employers. This expired 5 April 2014. See "RTI News" below for full details. RTI is essential for the operation of Universal Credit, which is set to replace the current system of tax credits. Under RTI all employers require an internet connection and RTI enabled software. Employers with less than 10 employees may use HMRC's free software, however most commercial software is regarded as being easier to use. RTI requires reporting at the same time as, or before, each salary or pension payment is made, rather than at the end of each tax year. There are changes to what is reported. Forms such as P45 and P46 and the year end reports P35 and P14 will no longer be filed with HMRC although employers must prepare P45s and P60s for employees. A Full Payment Submission (FPS) electronic submission report to HMRC before they make any payment to employees. An Employer's Payment Summary (EPS) if during a PAYE month an employer makes any statutory payments to HMRC (SMP or Sick pay for example) or suffers CIS deductions, or has not paid anyone. Up to 5 April 2019 earlier Year Updates (EYU) should be used to correct errors after 19 April following the end of the tax year in which the error was made. If correcting by 19 April, then an additional FPS can be submitted. From 6 April 2019 HMRC no longer require an EYU to correct errors; instead an additional FPS should be submitted with year to date figures, which will overwrite the original figures. It is not compulsory for employers to use BACS. You need to be online with the correct software and ensure that the data you hold on your employees is complete. 1. Ensure that their software is RTI enabled. 2. Cleanse the data on their payroll to ensure that they are holding only the current details of their employees. 3. Collect the passport numbers of all new employees. 4. Ensure that they have all the details required to run the payroll before they start - it looks as if it will be complicated to correct reporting errors. 5. This is a fundamental change to PAYE reporting so it will be advisable for all employers and payroll bureau to allow extra time to file payrolls. Penalties will be calculated automatically, and employers will be able to appeal penalties. It is anticipated that HMRC will not set its computers to deliberately delay in notifying late filing penalties, as it has done in the past for PAYE reporting. The RTI service was piloted with volunteer software developers and employers for a year, starting in April 2012. The majority of employers and pension providers have to use the new service from April 2013. HMRC accepted RTI submissions through the existing submission channels, using the Internet via the Government Gateway and EDI, regardless of the method used to pay employees. Further relaxation for micro-employers allowed filing to be extended to the last payday of the month, available for those who employ less than 10 employees and ran until 5 April 2016. 19 March 2013: under the terms of HMRC’s relaxation concession small employers (less than 50 employees) were able to make submissions under RTI when they completed their main payroll run, providing that is on or before the last day of the tax month (5th). This may be after payment to employees has been made. This concession expired in April 2014. Nov 11 2012: During the RTI pilot HMRC noted “a small number of cases” where real time reporting was difficult or impossible and proposed to allow extra time in some cases. Payments to employees for whom employers do not have to maintain a Deductions Working Sheet (P11). HMRC allow up to 14 days to report payments of benefits and expenses subject to Class 1 NICs but not taxed under PAYE. The ICAEW, ICAS, ACCA and Federation of Small Business have set up a new website: www.payerti.org which will carry guidance..